Tyson Wiles is a Santa Cruz local who was born in Aptos, California. He has spent his entire life actively involved in the local community. He attended Soquel Elementary and New Brighton Middle Schools, and graduated from Soquel High School and the University of California Santa Cruz. He was also a Capitola Junior Guard participant as well as an instructor, and worked at the Crow’s Nest Restaurant and NHS in the research and development department. His hobbies and recreational activities include surfing, cycling, triathlons and soccer. That’s Tyson you see shooting the curl above. Tyson graduated from Monterey College of Law and was admitted to the California State Bar in December 2010. 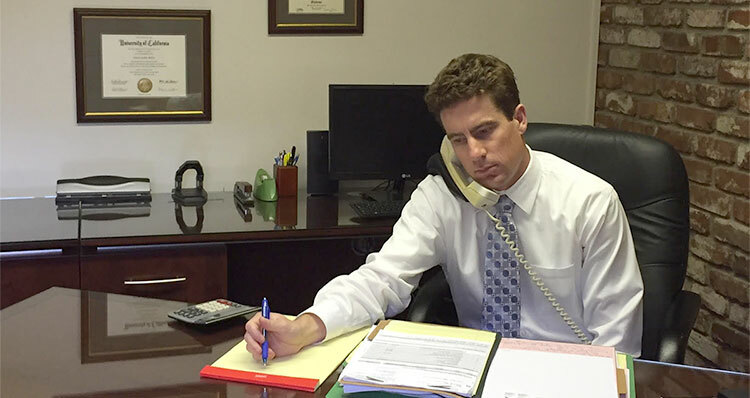 Up until that time, Tyson was trained by his father Brad, a triple winner of Santa Cruz’s Best Attorney award and actively worked on Brad Wiles’ cases as a paralegal for three years which helped him deepen his understanding of all aspects of this specialized area of the law. Since becoming a partner in the firm, he now looks forward to taking his relationship with his father further – from surfing and cycling buddies, to legal partners – assisting his father in each and every case, especially in the litigation aspect of the practice. Been injured in an accident? Don’t delay. Get a Santa Cruz personal injury attorney today.